As we are getting closer to Mockingjay - Part 1's release date, information regarding premieres and advance screenings is slowly trickling out. 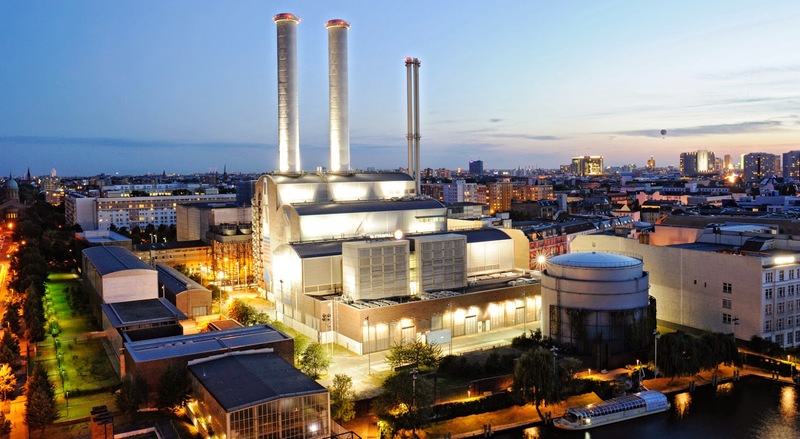 One of the final locations that were used for filming, Berlin's Vattenfall power station, will host a special 'Mockingjay Event' advance screening on November 11, German distributor STUDIOCANAL has announced in a press release. Several fan pages have also received information that tickets for the event will be available only through competitions run by the official German sponsor, TV channel ProSieben. Also the fan pages have been told that there will be a live stream of the London premiere (implying that it will take place on November 11 too) and red carpet during the Berlin event, and that there won't be a premiere/red carpet event in Berlin. This information hasn't yet been publicly confirmed or announced by STUDIOCANAL/Lionsgate so stay tuned - but with the event on November 11, it does make sense not to have an additional premiere in Berlin. Check out the full press release (in German) here.